Vampires. Immortal and nearly invulnerable, their mystic powers and supernatural servants protect them from danger. They thrive in the darkest hours of night and haunt the dreams of every culture and every age of man. Some merely crave your blood; others drain the very essence of life, leaving you an empty, bitter husk. And they always thirst for more . 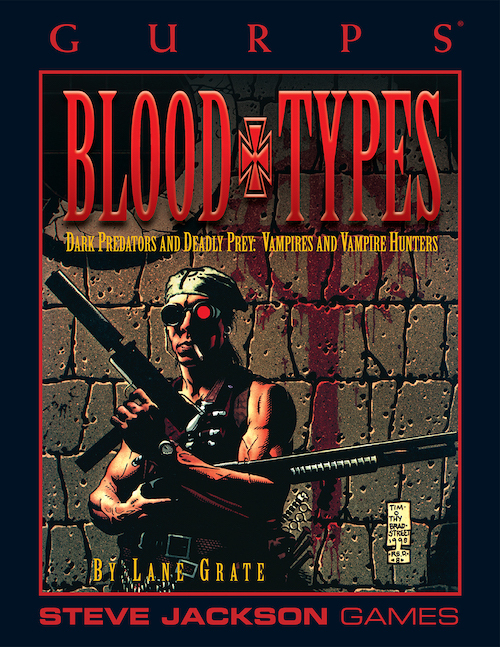 . .
GURPS Blood Types is a look at the vampire in legend . . . and, yes, in history . . . through the centuries and around the world. 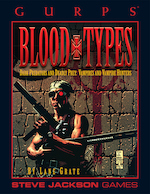 It explores dozens of vampiric types, from the traditional Gothic aristocrat to the bizarre African adze to the enigmatic Albanian vyrolakos . . . usable as foes, allies or player characters. GURPS Horror – This edition has been revised and updated by Kenneth Hite. It replaces the old historical settings with three brand-new campaign frames designed specifically for horror play.